I have been continuing my do. Good Stitches catchup and was able to put together some blocks that have been sitting on my shelf since September. I do not like to let things sit around that long, but I kept forgetting about them until I was in the middle of a new project and they just didn't get done. 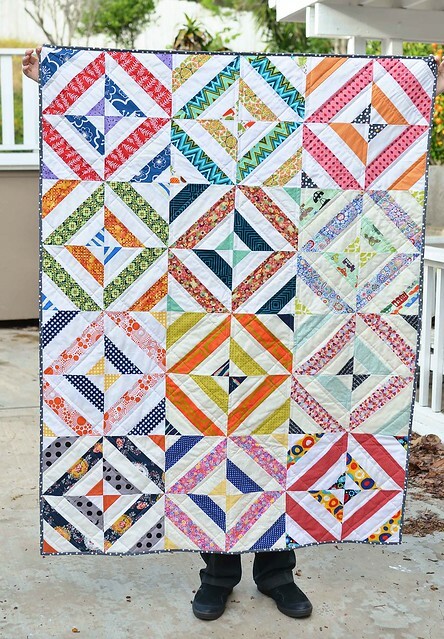 I bumped this quilt to the top of my list last week and made 1 last block and put everything together. We made these blocks using my tutorial which makes a block that looks like a string block without the paper piecing. I am so over paper piecing right now. The back of the quilt is some leftover Britten Nummer fabric from Ikea that was leftover from another project. This quilt will be donated to Project Linus. And just in time because I have a stack of February blocks waiting to be put together. This turned out so well and the colors are eye-popping! Whoever will receive this will be feeling the quilt love for sure! This screams "what to do with my Amy Butler" fabric~due to her intense designs, I feel I need just the right pattern~this will be great, thanks for sharing! This is colorful and fun! I love it! Its so easy to put something on a shelf and forget about it! Your quilt is fantastic and I am sure will be so loved! I love that backing fabric! Really pretty, and I too am feeling a bit over paper piecing. 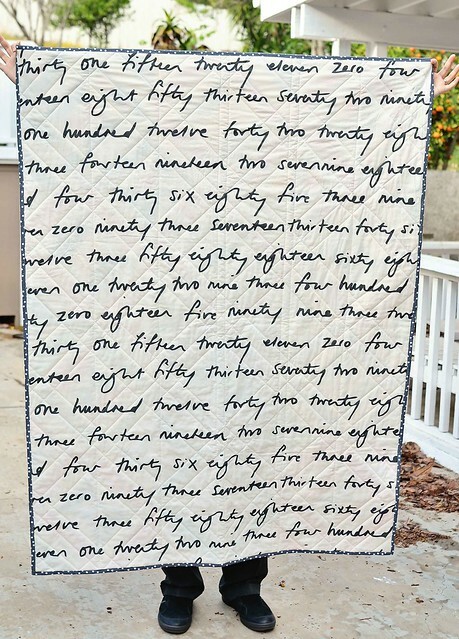 I want/need to learn paperless paper piecing. Maybe that will be more "my thing." Super work, the eventual recipient will be thrilled!